In 2007, the Fire District began the process to rebuild Fire Station 6 which was originally constructed in 1953. In 2008, the District purchased an adjoining property and home behind the Station which currently serves as the temporary fire station. Menlo Park Fire Protection District Station Six serves areas of the Fire District that include portions of the Town of Atherton and City of Menlo Park, including the downtown area where the station is located at 700 Oakgrove Avenue. 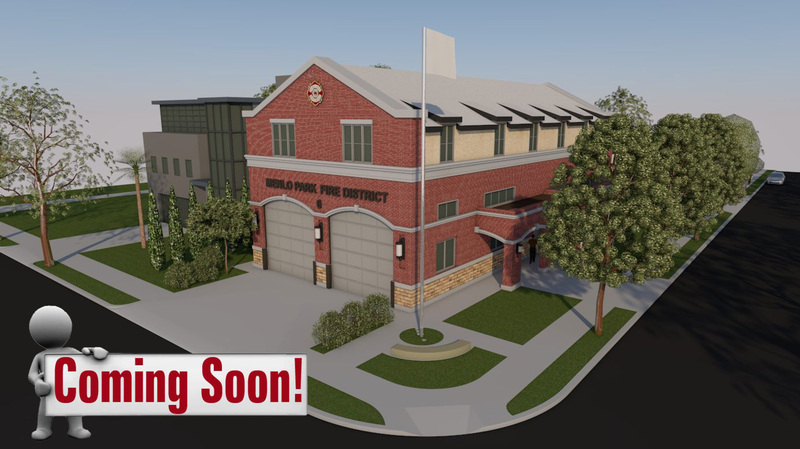 The new Fire Station is anticipated to be completed by February of 2018. The two story, two bay, 8,300 square foot partial drive through building was designed by CJW Architects and is being built by Construction Company Gonsalves & Stronck Co., Inc at a cost of $7.54 million dollars.The original Fire Station Six was designed by Leslie I. Nichols A.I.A. and built in 1953 by the contracting firm of ARO & Okerman. It was a small 3,000 square foot, single story, flat top, back in building designed to only accommodate three fire personnel. It was torn down in November 2016. The station is staffed by 3 firefighters, 1 Captain and 2 firefighters. One of the three personnel is also a licensed paramedic providing Advanced Life Support (ALS) services. The Fire Engine is a 2005 Pierce Dash. Station Six was the second busiest Fire Station in 2016 and responded to 1269 emergency incidents.